Putting a Ring on It - Valentine's Day at our Boston Hotel. First comes love, then comes marriage…oh wait, first comes love, then comes the ENGAGEMENT RING, then comes marriage! 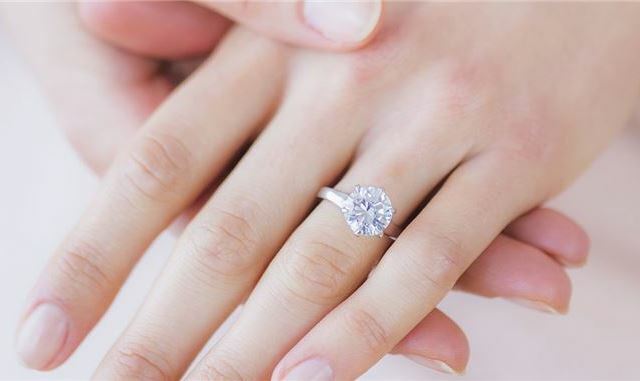 For all the hopeful Brides-To-Be that are coming into the upcoming Valentine’s Weekend hoping for a Bridal Bling Moment, the engagement ring definitely takes center stage as the third member of Team Bride & Groom during the exciting first moments from “Will You..” to “Yes”! In a survey of our 2016 Seaport Brides, surprisingly none were engaged on Valentine’s Day! Regardless of whether your upcoming February 14th involves candy, cards, or CARATS, hopefully you have plans to spend it with those you love! Leah Malin began her career with Seaport in 1999. As Director of Catering, she has coordinated thousands of high-end Galas, Corporate functions and Weddings. She is motivated daily by the opportunity to innovate, spot new trends, and customize unique experiences for her clients and their guests. When she is not at Seaport, she enjoys spending time at home in New Hampshire with her family and friends, cooking, cocktailing and creating!